The juggernauts of Sonic the Hedgehog soundtracks, Crush 40, are set to play the Youmacon convention in Detroit later this year. 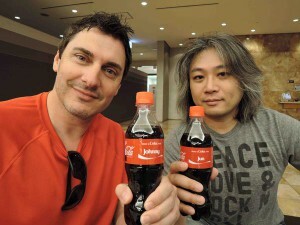 Crush 40 have recently played at the JOYPOLIS theme park in Tokyo to promote the launch of their latest album 2 Nights 2 Remember, but have not played any shows outside of Japan since 2013. Youmacon is a celebration of Japanese pop culture, including video games, anime and music, running across three days from Friday 29th of October until Sunday 1st of November. There is currently no information as to which day Crush 40 will be performing as of publication of this article, however we will keep you up to date as more details come to light. Oct. 29 is a Thursday guys, not a Friday. Cool. Hope you all have fun! One of my favorite bands. When are they going to make a new song for Sonic games? Are they done with that? Finally my favorite rock band are coming to my city.